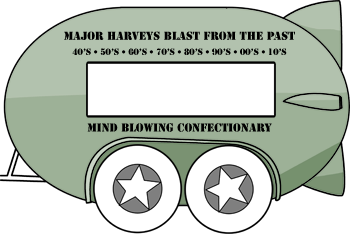 Major harvey's Blast from the Past is a forthcoming project to distribute retro sweets & confectionary from a radically designed trailor. The trailer will be hired along side our already iconic Commer Icecream van. Contact us for Information on hiring our ve-hicals for your event!